Recently, I heard from Kim Smith, the mother of a young man who suffered severe brain injuries in an all-terrain vehicle (ATV) accident three years ago. Kim kindly agreed to share her story through our blog as a way of warning parents and teens, especially, not to take ATVs for granted. B.J. Smith’s story is an example of how “one fun ride” can change your life forever. On a sunny afternoon while vacationing at his uncle’s house in Texas, B.J. decided to take his uncle’s new ATV for a spin although he and his cousins had been told never to go near the 350 c.c., 386-pound machine unsupervised. B.J. reached nearly 60 mph on the ATV when a dog ran out unexpectedly and clipped the front wheel of the ATV. He was thrown 25 feet from the point of impact. B.J. had no helmet on and slammed his head on the sidewalk with full force. Blood poured from his nose, eyes, ears and mouth. He was taken to Memorial Hermann Hospital “dead on arrival” after having celebrated his 15th birthday only six weeks before this nightmarish incident. B.J. 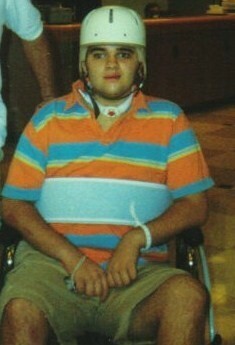 spent the first three weeks after the accident in a coma. His parents were told that the boy had only a 10 percent chance of survival. 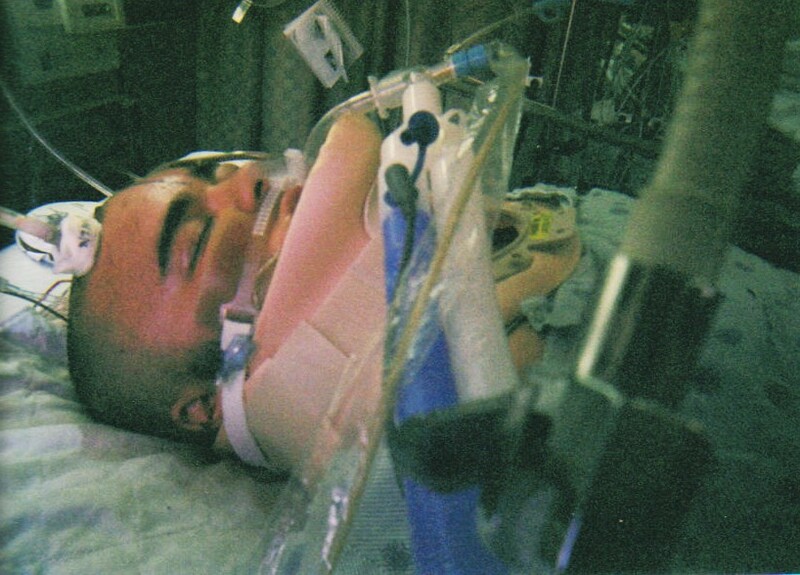 He spent five months in the hospital having suffered a severe traumatic brain injury, broken collar bone and ribs, punctured lung, lacerated liver and injuries to his arms, legs and back. The 6-foot, 225-pound boy, who was an avid athlete and a gym rat, was now relearning to walk, talk, eat, bathe and dress. He had very little memory of life before the accident. His parents were told right away that B.J would need 24/7 care for the rest of his life. Kim Smith says she recalled the words of Michael Paul Mason who best described the aftermath of a traumatic brain injury; it “strikes with the concussive ferocity of a bomb; woe to those near its epicenter”. B. J. Smith and his family lived through such a catastrophe. B.J.’s personality changed dramatically. There were days when he was docile and gentle, giving hugs and showing a need for affection. But on most days, he had emotional outbursts and crying tantrums, cursing wildly and sometimes turning physically violent. Nothing could have prepared his family for such grief and heartbreak. Doctors recommended that family members tell the teen stories from his childhood to offer comfort and remind him of his beautiful life prior to the ATV accident. It has been three years now and Kim Smith says her son has made a remarkable and miraculous recovery. Of course, he will never be the person he was before the accident. Today, he is a resident in a school for the blind where he is learning Braille as well as important life skills. He does have some vision, but is preparing for a time in the future when he will most likely go completely blind. But most remarkably, the incident has made B.J. more spiritual than ever before. His mother says he is “no longer afraid of death” and considers every second of life after the accident a gift from God. I believe that B.J.’s story is not only educational for young people, but also inspirational. Kim Smith now has a mission in life – to spread B.J.’s story through a fantastic group of parents called Concerned Families for ATV Safety (www.atvsafetynet.org). These parents have made it their collective goal to disseminate comprehensive information about ATV safety, tips and the dangers of letting children and teens ride ATVs, especially when they are unsupervised. They also form a support network, comforting, motivating and inspiring one another through good and bad days. I admire B.J. and his family for not only sticking together through an extremely rough patch and coming out of it successfully, but sharing their experience with the rest of the world so we can learn and benefit from it. I wish them the very best and hope and pray for B.J.’s continued recovery.